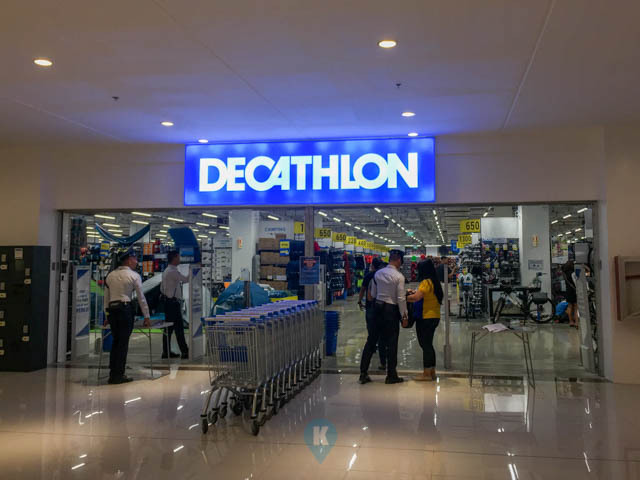 Decathlon Philippines opened their first (?) store in Festival Mall Alabang. It created a stir among the FB groups I belonged to, especially those related to trekking and biking. I love doing these in between my chores here at Katooga.PH. So I was intrigued why this store created the right buzz for me to finally drop by. 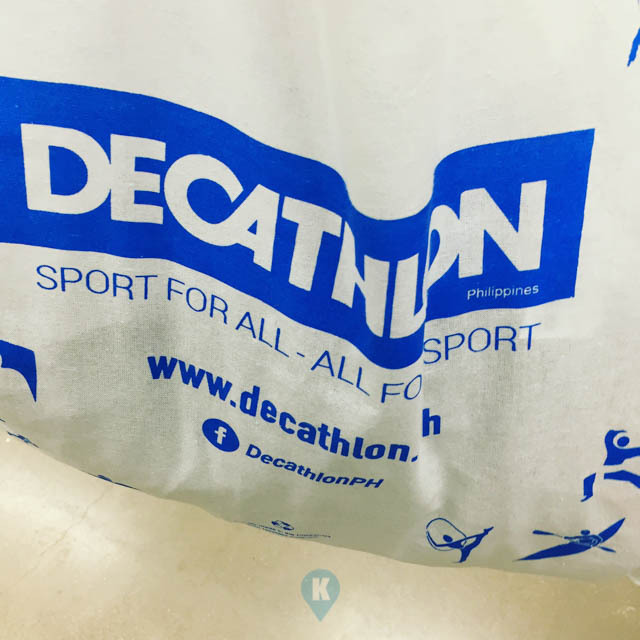 Located at the first floor of the mall, at the very end, just above Shopwise, lies Decathlon. With that huge sign, surely you won't miss it. You can also ask the guard where it is and they will gladly point you in the right direction. Now going in is like your typical department store type of establishment. When you go in, you will be amazed of how spacious and huge the place really is. This is sports heaven. Along the first aisle I saw was for camping and I was shocked at the prices. Not that they're expensive, but how inexpensive they were. 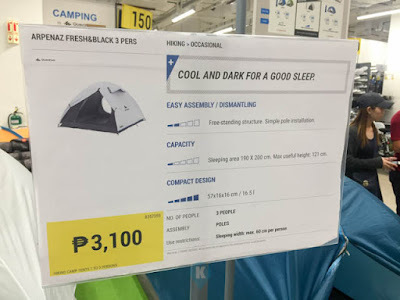 Not only the price but the range of products they have. From portable stoves, to mats, different tents, folding chairs, I can go on and on. This is trekking heaven. 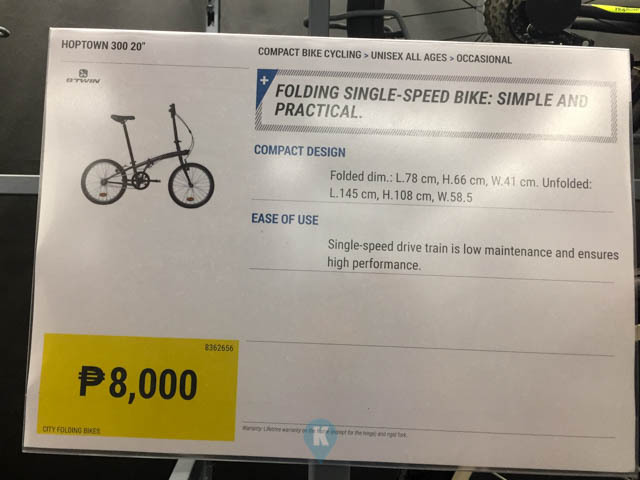 Opposite this aisle are the bicycle section. Same thing, lots of cool stuff and assortment of products from socks, shoes, jerseys, gloves, helmets and on and on and on. 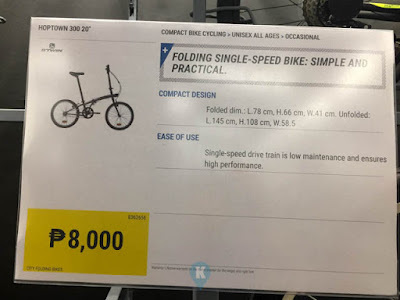 Prices are not mall prices, they can even rival those from the bike shops in your neighborhood. What other fitness culture are in store here? 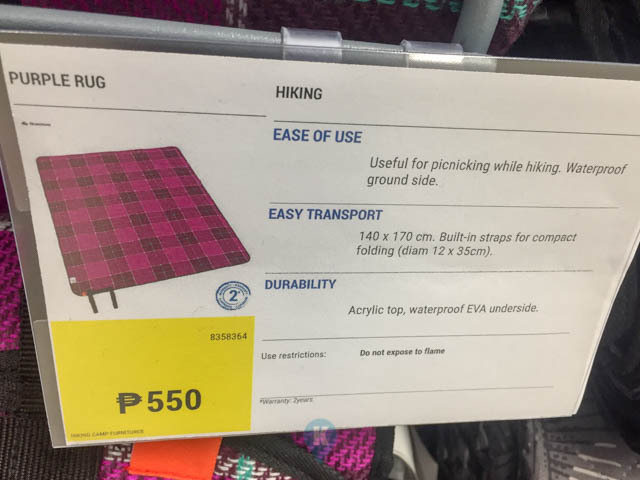 Let me ramble a few more... Scuba Diving, Swimming, Trekking, Climbing, Basketball, Darts, Badminton, Weight Lifting, Soccer, Zumba, Yoga, Darts, they even have an aisle for Equistrian (thats with horses). 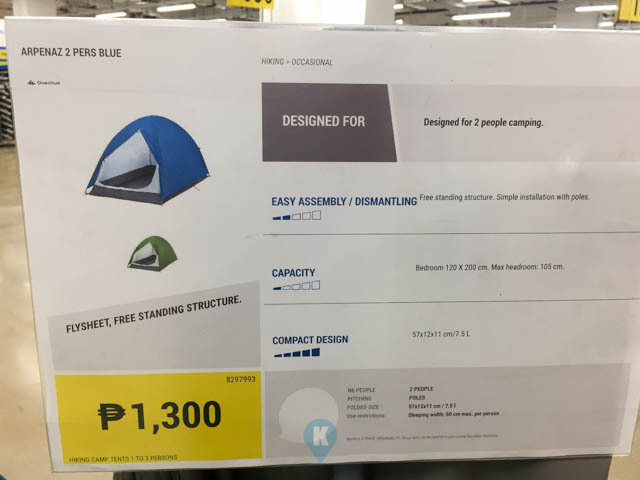 There are so much more inside and you can even find that would fit kids, teens, adults and senior citizens, female and female. So much are in store for an active lifestyle individual. I promised myself NOT to buy anything. But hey, they have great prices and great products. This store by the way is members based so you will be asked to register your email address. Membership is free so don't worry. They will remind you though that you have to bring your own bag on your next visit. Later I received an email coming from them thanking me for my purchase and welcoming me as a member. Great customer experience. As an extra service, they can even personalize your purchased item on site. They have Vinyl heat press and embroidery as well. Imagine that. Also, don't be surprised if you find caucasians running around in Decathlon uniforms helping you, this is a french owned company. For more on them, please visit their facebook page here.